We offer a wide variety of tours and expeditions for paddlers with different levels of kayaking ability. paddling single kayaks, through remote wilderness. Small groupsSix guests plus two guides. Each person is equipped with a single kayak. Enjoy the independence and rewards of paddling your own craft. Single kayaks enable specific freedoms while providing certain challenges. Our guided kayak tours focus on the most distant regions of Haida Gwaii, an area that highlights the best of Gwaii Haanas National Park. The southern tip of Gwaii Haanas consists of secluded island clusters, isolated beaches, jutting headlands and sheltered inlets. Sea lions, whales and puffins thrive in this rich and diverse marine environment. Discover the wilderness spirit of these remote, misty isles. Visit the extraordinary Haida village of SGang Gwaay. This historical settlement is a United Nations World Heritage Site, also known as Ninstints. Guided kayak day-trips launching from the Rose Harbour Guest House. Enjoy the comforts of this remote facility. Group size is six guests. An eight-day tour with daily guided kayak excursions launching from the magnificent 71' ketch; Ocean Light II. Our eight-day Waters of SGang Gwaay camping trip is suitable for relatively inexperienced paddlers, as well as accomplished kayakers. Group size is six guests. We offer seven-day and eight-day camping trips suitable for relatively inexperienced paddlers, as well as accomplished kayakers. Group size is six guests. The eight-day Cape Freeman Expedition is designed for kayakers who have accumulated some experience and developed reasonable boat-handling abilities. This creates a more cohesive skill level within our small group of participants. Join us on this self-propelled educational adventure of a lifetime. This expedition provides experiential leadership training and guide certification. 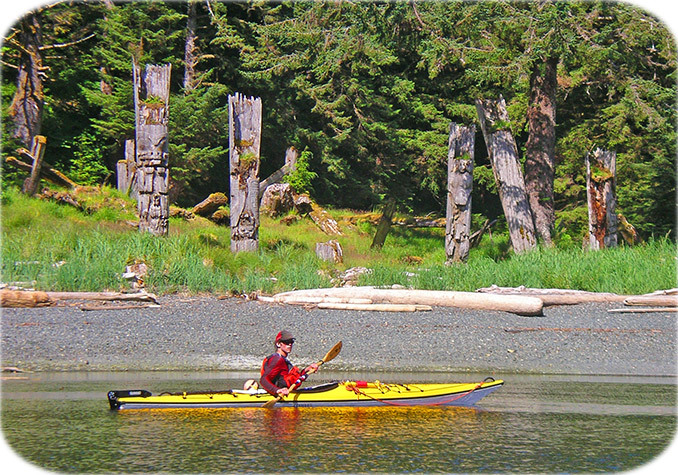 Traverse the incredible west coast of Gwaii Haanas; for experienced kayakers only. Join Gord Pincock on his 39th season kayaking Haida Gwaii. 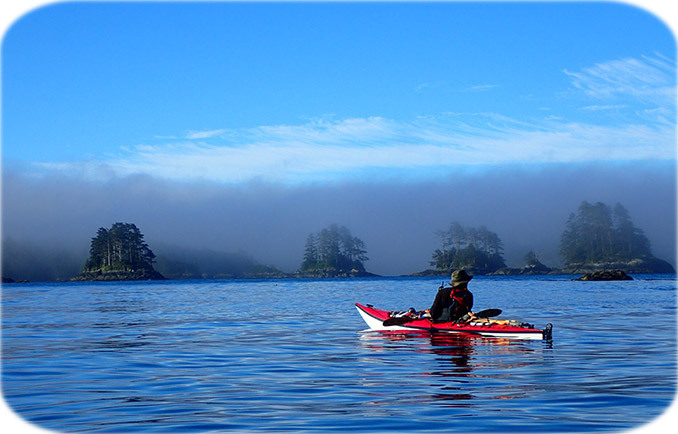 Enjoy the many advantages of traveling with the most experienced sea kayak guide in Gwaii Haanas National Park.